Learn everything there is to know about sending a Contract to your client. Creating, sending and getting contracts signed has never been easier! 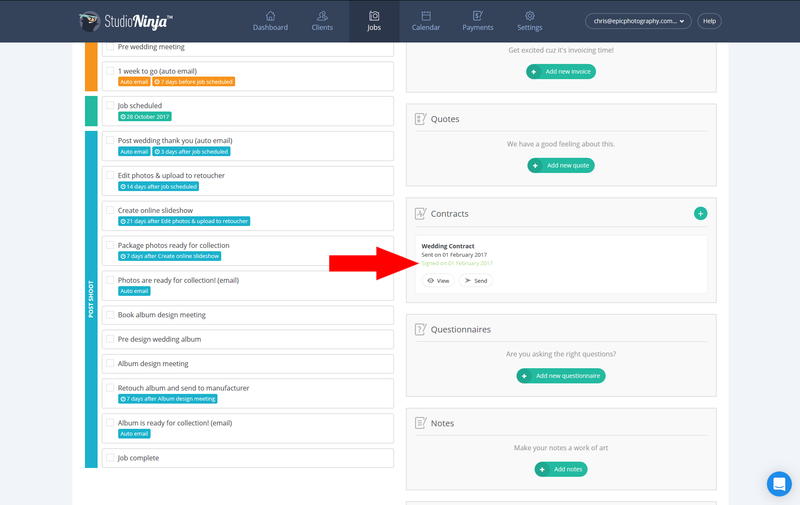 If you haven't read our article about creating contract templates, I suggest you do that first. Once you know how to create new contract templates, the next step is to send out your contracts. IMPORTANT: Remember that everything in Studio Ninja revolves around Jobs. If you would like to send your client a quote, invoice, contract or questionnaire please add a new job for this client first. 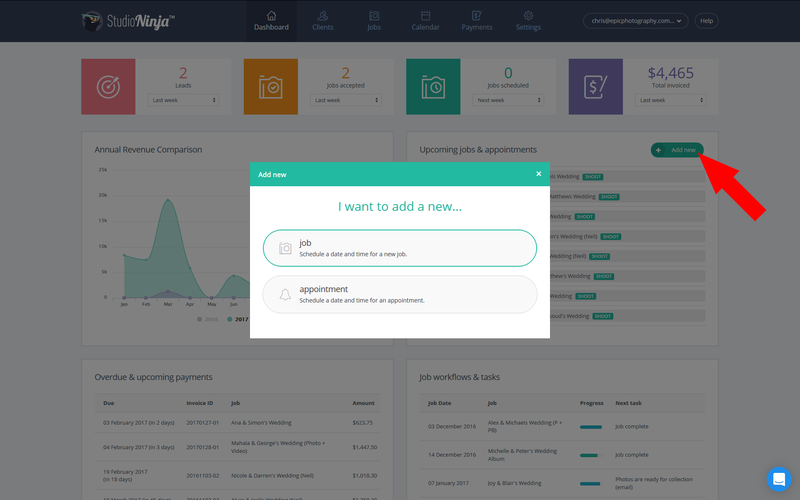 All quotes, invoices, contracts and questionnaires are managed from within the job profile page. Step 2: From the Job Profile page there are a couple of ways of sending a contract to your client. You can click on the green 'Add New' button on the top right hand side of the page. You can scroll down to the Contracts box on the right and click the green 'Add new contract' button. Step 3: You will see the Send Contract lightbox appear. Make sure you choose a Contract Template from the drop down menu. If you would like to make any specific changes to this contract before sending it to your client you can click on the 'Edit' button. These changes will only apply to this contract. Step 4: Make sure you're happy with everything else and when you're ready, click on the green 'Send contract' button. I would suggest sending a contract to yourself first to make sure you're happy with everything before sending a contract to any real clients. Step 5: Now you will notice that your new contract has been populated into your Job Profile page. 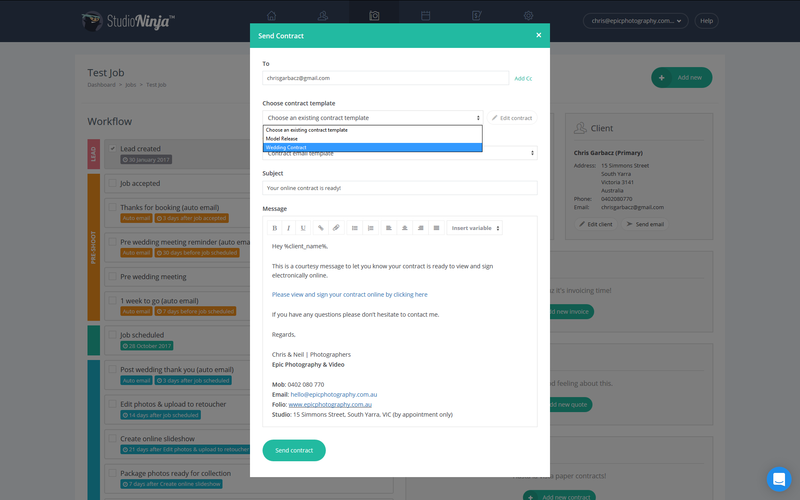 Step 6: Your client will receive your email with a link to the Client Portal > Contract page. Wait for your client to sign your contract electronically online. 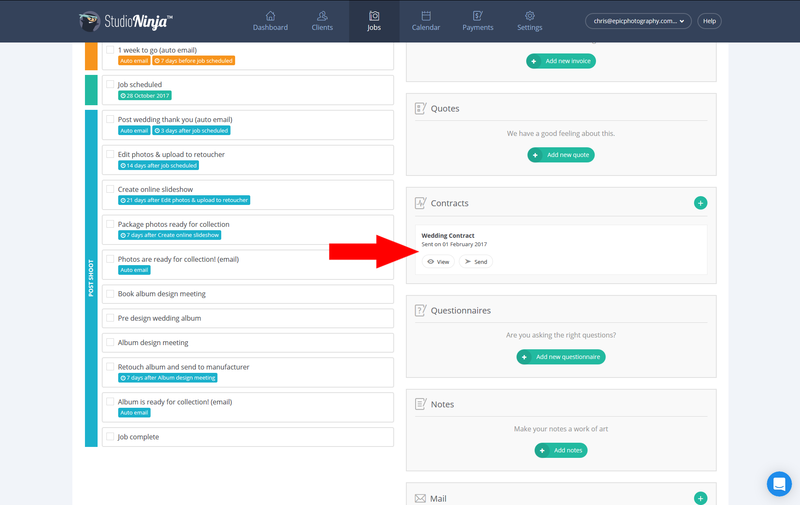 Step 7: As soon as the contract is signed, you will receive an email notification from Studio Ninja letting you know that the contract has been signed. 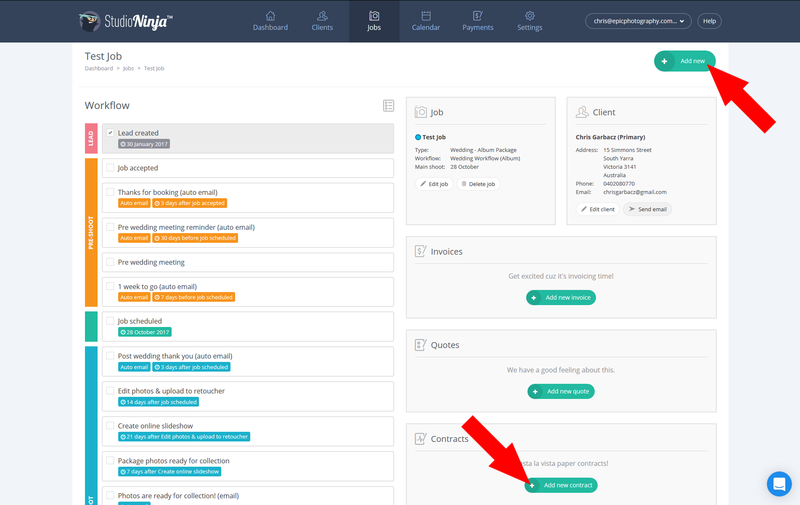 You will also notice that the signed contract now appears in your Job Profile page letting you know when it was signed. 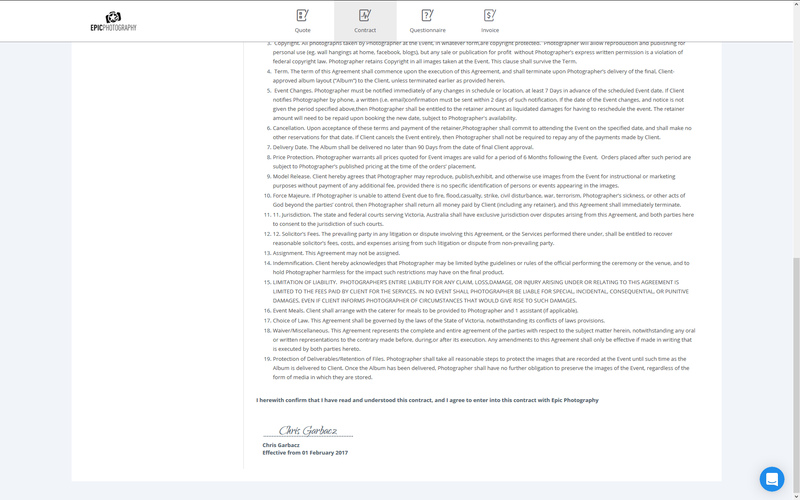 You can also view the signed contract by clicking on the 'View' button in the Contract box. You can print it out too if you like.